IS YOUR PET UNDER GOING SURGERY? Surgery can often be a subject of anxiety for pet owners as it requires anesthesia and may require overnight hospitalization. Hopefully the following will explain our procedures and policies as they relate to surgical patients. 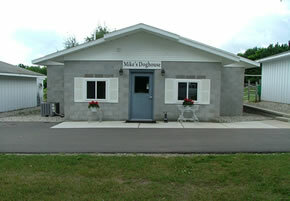 While modern methods have made this process commonplace, with complications exceedingly rare, the medical staff at Maple River Animal Clinic is dedicated to ensuring your pet can handle anesthesia properly. For older, sick, or debilitated patients, blood work may be required or recommended. This can be performed in the clinic for additional laboratory fees, and can be done ahead of time. Chemistry: A chemistry will show us how your pet's kidneys and liver are functioning. This is important as these two organs filter blood and expel waste out of the body. Complete Blood Count: This test allows us to detect anemia, infection, bleeding disorders, and clotting disorders. Electrolytes: This test is important when evaluating vomiting, diarrhea, and dehydration. 1. No food after 8PM. It is important that the pet has an empty stomach. This will prevent stomach contents from accidently being regurgitated; this puts the patient at risk for aspiration pneumonia (stomach contents in the lungs). Please notify staff is your pet accidentally had breakfast. Occasionally the schedule can be altered to still allow for surgery though this is not a guarantee. 2. Remove water access from your pet in the morning when you get up. 3. Be at the clinic at 8am for surgery check-in. Elective (pre-scheduled) surgeries are routinely scheduled during the morning hours. Each patient is checked in, a release form signed by the client, and other important information covered. In order to make this process quick and efficient so as to not interfere with valuable surgical suite time, it is imperative you arrive on time and have made every attempt to have pertinent questions answered ahead of time. A pre-surgical consult is a great way to get everyone on the same page! Often there isn’t additional time to address other medical concerns. 4. Please let us know if your pet is on regular medications and whether you have given them or not. During surgery, patients are closely monitored and emergency medicines, should they be necessary, are kept close at hand. An intravenous catheter is standard practice at MRAC. The fluids that can be added during your pet's surgery provide support to the circulatory system and prevent dehydration. IV fluids can also aid in a quicker recovery from anesthesia. Our clinic strongly believes in patient care. All of our surgeries receive pain medication during surgery. They may also go home with pain medication as well. All information will be given at discharge. 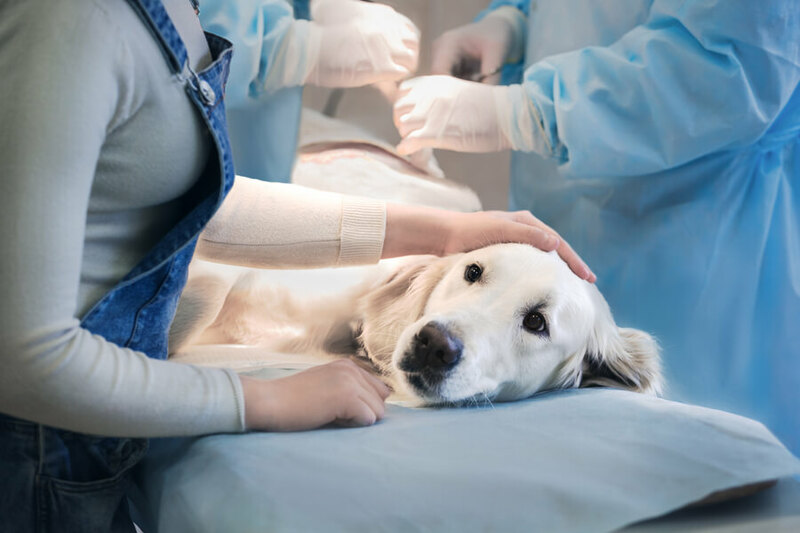 Depending on the type of surgery and the circumstances surrounding the patient (which may not become apparent until in the surgical suite), your pet may require overnight hospitalization. This is often to allow for close observation and keep the patient quiet in the post-surgical time period. Clients are notified by phone mid-day with a patient update; if you do not hear from us by 2pm, please contact the clinic. This often is just the result of the staff attending to other patients. Often your pet will go home on pain or other medications. If for any reason you do not understand how to administer – or the purpose of – the prescribed medicines, please notify the medical staff. Antibiotics may also be sent home with your pet after surgery. This will help fight any infection that they may have or prevent one from occurring. This is decided by the doctor. Anesthetics can make your pet nauseous. Cerenia is a medication that will prevent them from vomiting and will be supplied if necessary. Patients that have external sutures will have them removed at a date indicated by the surgeon. These rechecks are included in the surgical cost allowing our clients and patients an opportunity to have their pet rechecked without opening their wallets. However, on occasion, additional medicines may be necessary and will be prescribed.